Disney announced this week that Disneyland in California will be getting a Marvel-Land in 2020. It will be at California Adventure, and will feature The Guardians of the Galaxy, Spider-Man, and the Avengers. The new land will be anchored by the Guardians of the Galaxy — Mission: BREAKOUT! attraction, and will replace the current “a bug’s land” area. As exciting as this is for Disneyland, you may be wondering why we don’t get something like this here at Walt Disney World, since it’s Disney’s largest theme park resort. Marvel’s star characters would look great here in Florida, but that can’t legally happen. Nearly two decades ago, the Comcast company (who owns Universal Studios Parks) made a deal prior to Universal’s theme parks opening. They claimed territorial rights for most of Marvel’s best-known characters to use in theme parks in the U.S. east of the Mississippi River. Comcast’s Universal Islands of Adventure features X-Men, Fantastic Four, Spider-Man, and Avengers attractions, essentially taking those four franchises off the table for Disney in Florida. 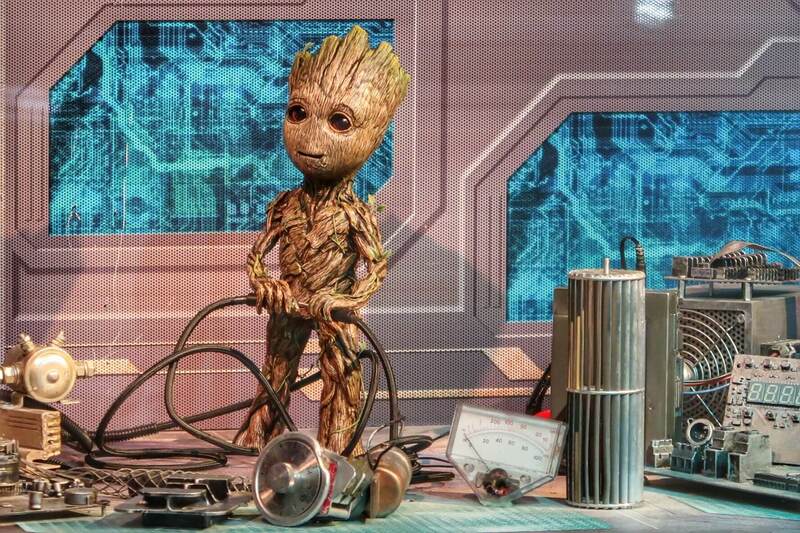 Disney World’s in-park meet-and-greets have been limited to Guardians of the Galaxy and Doctor Strange. It remains to be seen what it can and can’t do with Black Panther, since that does have ties to Avengers and Fantastic Four. In an ideal world, Disney would strike a deal with Comcast to win back those regional theme park rights. It wouldn’t be easy for Comcast to rebrand entire theme park land that includes some the resort’s most popular rides, but anything can be had at the right price. Disney naturally has bigger incentives to get a deal done, especially now that Disney’s California Adventure will roll out the new Marvel-themed land in 2020. Disney World is the most visited theme park resort on the planet, and the opportunities to attract comic book fans while also promoting the properties to its massive worldwide audience are too juicy to pass up. It’s odd that here in Central Florida Disney’s rival is promoting their franchises, and it will get even stranger in the coming years as Disney World begins to add in the few Marvel characters that aren’t part of Universal’s parks. Especially as they begin to add Marvel attractions to Disneyland in California, Hong Kong and Paris. We will see how it all plays out as they add in the few Marvel franchises that they can, such as the currently under construction Guardians of the Galaxy indoor coaster at Epcot.